This was taken in Cuba. 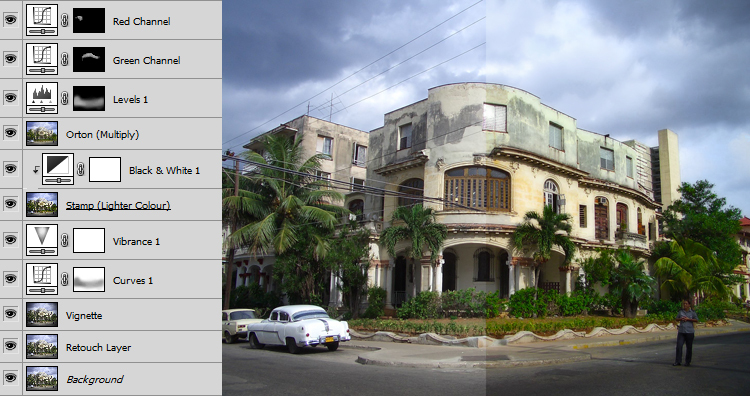 This building is typical of the design and condition of houses in Havana. I like this shot as despite being taken with an early digital compact camera EX-Z3 it had a natural HDR look about it even before I started work on it. To process this image I started be removing the cables in front of the building with the Spot Healing Brush Tool set to Content-Aware. I then added Vignette, Viberence, Selective Desaturation and the Orton Effect. Then I gently lifted the pastel shades of the buildings using individual channel curves. I tried to submit this image for stock but it was rejected by Shutterstock and Dreamstime for copyright. I guess Art-Deco buildings count as Art. Very cool! It’s much more subtle than the usual HDR shot, I think the effect works really well. Shame about the stock, I didn’t realise you could copyright an image of a building! It’s a bit hit and miss with buildings. You can use an image of a the Eiffel Tower during the day but not at night. Something to do with copyright on the lights. I’m sure they often reject just to be on the safe side but occasionally some buildings get accepted. The house has clearly been altered in the style of the revolution (architectural cannibalism). 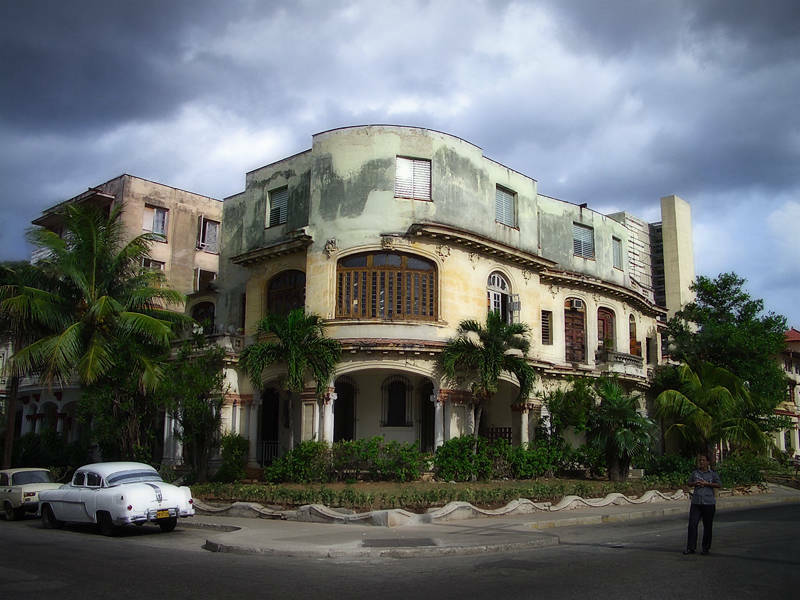 Just another one of many beauties destroyed in this once truly beautiful capital city of Cuba. Great shot !! This house always hurts my sight when I walk by it.Photoshopping can’t detract from its ineviatble decay and final destruction. Thank for your comments Eric. You learn something every day! I would be interested in anything more you know about the history of the building.